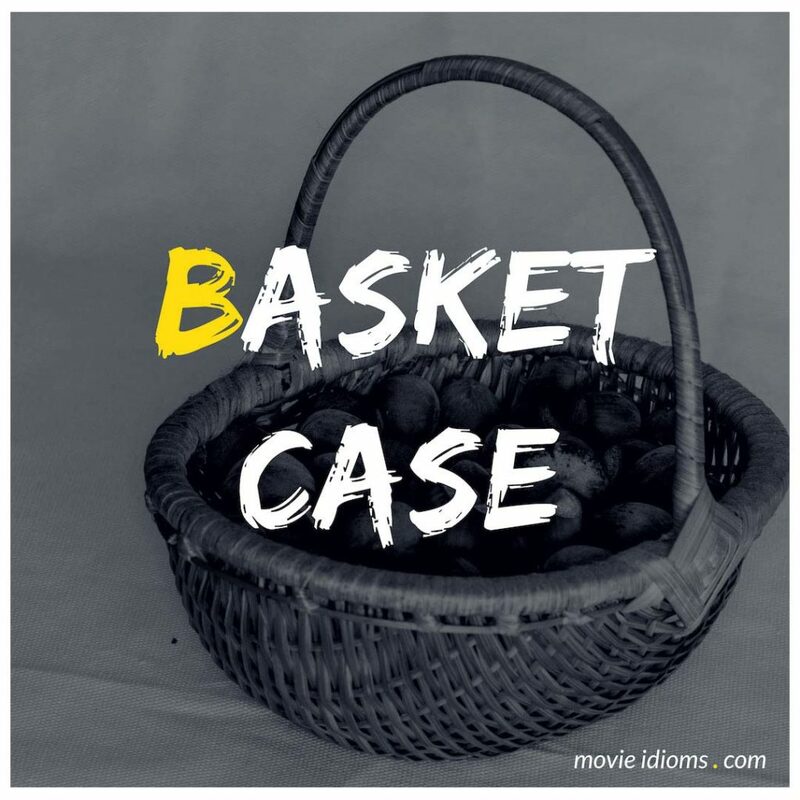 What does basket case mean? MacGyver: Pinky! Were you always this nervous in the old days? Pinky Burnette: Well, I… of course I was nervous. I… I… I invented the would nervous. I mean, I was what they called a… a basket case. MacGyver: Well, guess what? You’re back. All the way back. Pinky Burnette: You’re right. I’m back. I’m back. I am back! Andrew Clark: And an athlete. Allison Reynolds: And a basket case. John Bender: And a criminal. O: Call me O. I was named after Ophelia, the bipolar basket case in Hamlet who committed suicide. So I cut it down to just O.